In the retina (the light-sensitive tissue lining the back of the eye), there are two types of cells that detect light: rods and cones. Rods detect only light and dark and are very sensitive to low light levels. Cone cells detect colour and are concentrated near the centre of your vision. There are three types of cones that see colour: red, green and blue. The brain uses input from these three colour cone cells to determine our colour perception. Colour blindness can occur when one or more of the colour cone cells are absent, nonfunctioning, or detect a different colour than normal. Severe colour blindness occurs when all three cone cells are absent, and mild colour blindness occurs when all three cone cells are present, but one cone cell functions abnormally to detect a different colour than normal. There are different degrees of colour blindness. Some people with mild colour deficiencies can see colours normally in good light but have difficulty in dim light. Others cannot distinguish certain colours in any light. The most severe form of colour blindness, in which everything is seen in shades of gray, is uncommon. 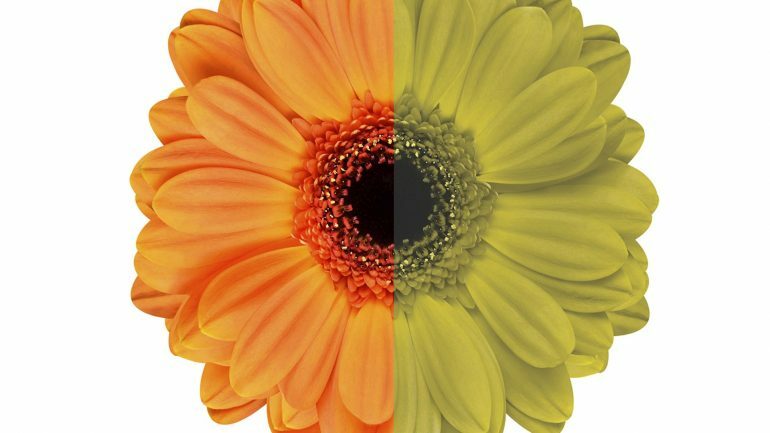 Congenital colour blindness usually affects both eyes equally and remains stable throughout life. Inability to tell the difference between shades of the same or similar colours, particularly red and green, or blue and yellow. Except in the most severe form, colour blindness does not affect the sharpness of vision. Most people with colour blindness are born with it. (This is called a congenital condition.) Most colour vision problems that occur later in life are a result of disease, trauma, toxic effects from drugs, metabolic disease or vascular disease. Disease-specific colour blindness often affects both eyes differently, and the colour vision defect usually gets worse over time. Acquired colour vision loss can be the result of damage to the retina or optic nerve. A simple test consists of showing the patient a pattern made up of multi-coloured dots. If the patient does not have a colour deficiency, he will be able to see numbers and shapes among the dots. If he is colour blind, he will have a hard time finding the number or shape in the pattern or may not see anything in the pattern at all. There is no treatment for congenital colour blindness. It usually does not cause any significant disability. However, there are special contact lenses and glasses that may help people with colour blindness tell the difference between similar colours. Acquired forms of colour blindness may be treated by addressing the underlying condition or drug that caused the problem.